Some times we hear people say they don't like the Old Testament because the God of the OT was a God of wrath and punishment, while the God of the New Testament is the God of mercy and grace. But how much did "the God of the Old Testament" love mankind? 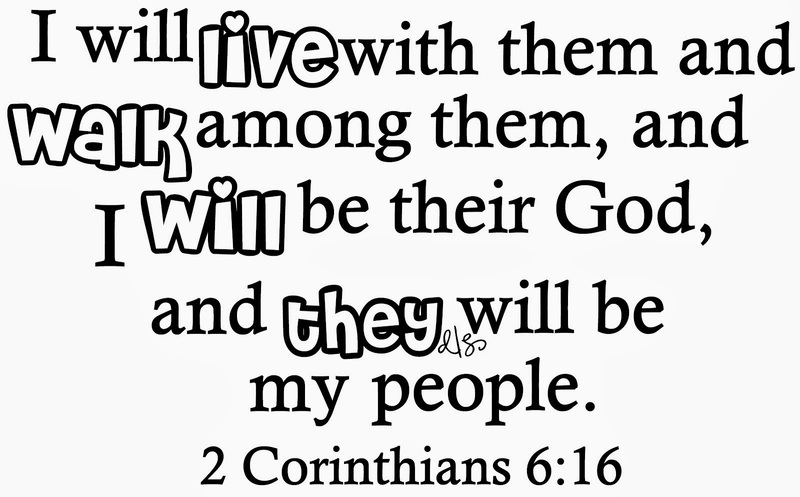 and you will be My people. And that is Who some call "the God of the Old Testament," the God of Abraham, Isaac and Jacob: He walks among His people, He talks to them, wrestles with them (they always lose, of course), He comforts them, guides them, and shelters them. Lo and behold, He even dines with them. The Bible is clear that we don't have "different Gods" in the Old and New Testament. The loving, nurturing, caring and compassionate God of the Old Testament is the very same loving, nurturing, caring and compassionate God of the New Testament. Was Jesus "Just a Prophet?" Who Does Jesus Think He Is? Who Said That God Would Come to Earth As a Man? Born to Save: The Ultimate Purpose Driven Life! 'Sons by the Tons' or No Sons at All? What is the Basis for Your Beliefs? There is Only One God and Savior! Where Was Jesus Before He Was Born? Jesus, My Lord and My God!